New construction, ocean views, and luxury amenities - a Woodbridge Pacific Group community features an unparalleled Huntington Beach location and innovative Southern Californian design features. Available Present and Future Phases in Azurene, Capri, and Seaglass. New Home Inventory in these evolving phases are constantly changing - please inquire to see which current homes in each development are available currently and which are expected to be released in the near future phases. 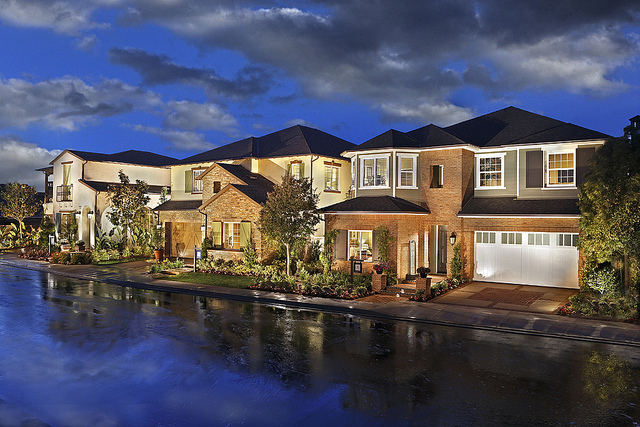 Tours of the model homes in the Azurene, Capri, and Seaglass communities are available every day at the sales office. Please register with us prior so we can give you local community advice and assist your transaction to make sure everything goes smoothly. While the community is emerging as one of Huntington Beach's newest and most luxurious areas to live, there are seldom opportunities to purchase homes for resale. Please view below to see Brightwater Huntington Beach homes for sale.